Assisted living is a housing and care combination that is regulated by the South Dakota Department of Health. Licensed providers must offer 24-hour-a-day care and services sufficient to support needs resulting from an inability to perform activities of daily living or from cognitive impairment. In addition, assisted living residents can also receive up to 8 hours per day and 28 hours per week of skilled nursing or rehabilitation serves which are provided by an outside agency. In our experience, the combination of social interaction, frequent activities, management of medications and delicious, well-rounded meals help residents flourish soon after their arrival. Pine Hills works closely with residents, their families and the resident’s physicians to assure each resident is regularly assessed and a care plan developed that accurately reflect their needs. Click here for more information on Assisted Living. What if you need some help, but not assisted living? The advantage of a setting like Pine Hills is that you have the peace of mind knowing that you can stay in your “home” even as your needs change. As a resident of our independent living apartments, any assistance with health care or activities of daily living can be arranged independently with family, volunteers or professionals such as a home health agency. Laundry, housekeeping or transportation services are available from Pine Hills on a fee for service basis beyond our generous package of included amenities. At Pine Hills Retirement Living means letting go of the burdens of home ownership and saying “yes” to a lifestyle that makes it easy to enjoy yourself in a setting that is safe, comfortable and surrounded by friendly residents and staff alike. Our residents enjoy the excellent meals with restaurant-style choice and service, diverse activities and attentive staff. Transportation to medical appointments, church, outside activities or other destinations is readily available in our air-conditioned bus. For the children of our residents, retirement living at Pine Hills, whether independent or assisted, means the peace of mind knowing that their parent is in a safe and stimulating environment with whatever level of assistance they need to enjoy a high quality of life in their later years. Can I come and go as I want after I move in? Most definitely. Although we have added security features since we are certified to care for those with cognitive impairment, residents have a tremendous amount of personal choice and freedom. Many of our independent residents still drive and others take advantage of public transportation, our beautiful van or the generosity of family and friends to venture out on a variety of daily or special outings. Residents are also free to travel for extended lengths of time knowing that they simply need to shut their apartment door behind them and we will take care of everything. How much does Pine Hills cost and how is it paid for? 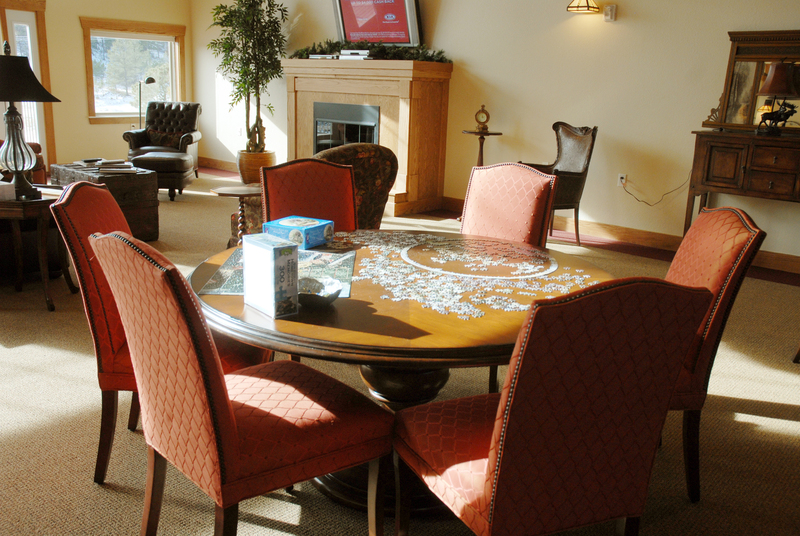 Our community is primarily private pay with the source of payment resident funds or long-term care insurance. Medicare (Title XVIII) does not pay for assisted living. Special financing is available through Pine Hills’ membership in the ElderLife Financial Services system (see www.elderlifefinancial.com). There is also a limited number of Title XIX (Medicaid) assisted living units which are dual occupancy. The cost of care is determined by both the size of the apartment selected and the individual level of care chosen based upon a needs assessment done separately by the resident’s attending physician and then by our nurse. 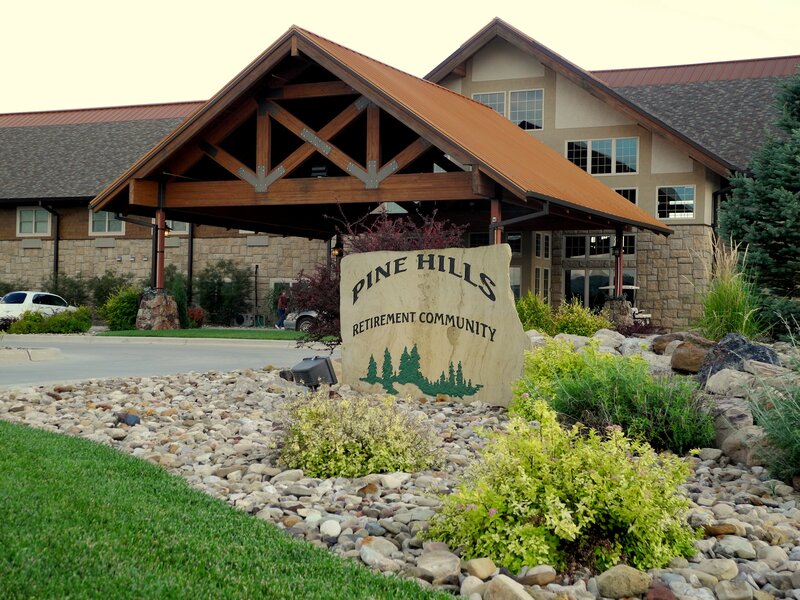 If you have a question about retirement living at Pine Hills, please click here to Contact Us!